The client is the only city-county hospital in Texas. They’re a non-profit, don’t depend on tax support, and have been important to their community for many years. Over the years, the client developed an unfavorable reputation in the healthcare field. They were viewed as having outdated technology, poor healthcare services, and doctors that weren’t as knowledgeable as their competitors. Along with this, being an older county hospital further cheapened their reputation. Despite their undesirable reputation in terms of healthcare technology and services, the client was extremely well known for their superb bedside manners. The client was viewed as a placed to go and get the best of the “human touch” side of healthcare. The nurses and doctors were extremely friendly, caring, and wanted to help not just patients but their entire families. This made for a sticky situation. On the one hand, the client wanted to be known for their cutting edge technology and doctors knowledge, but they also did not want to lose their reputation of being welcoming, kind, and helpful. MindEcology was faced with positioning the client in the both parts of the healthcare “world” so they would be known for having both great doctors and taking excellent care of patients. 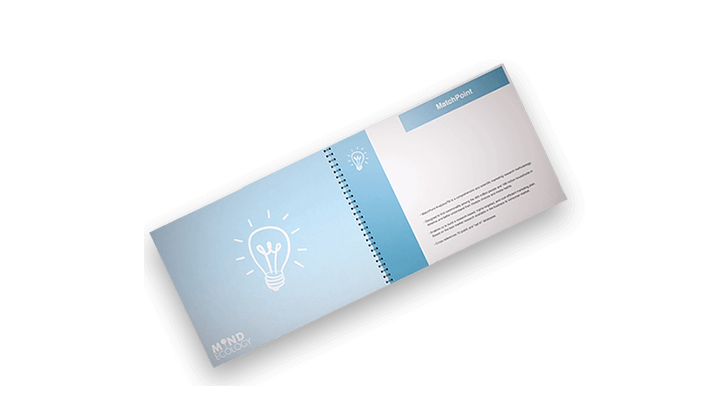 By carefully evaluating the situation and the various opportunities it presented, MindEcology was able to expertly brand the client as a hospital where technology and personal touch weren’t at odds, but where they were equally important. The success of this rebranding campaign was rooted in the creative execution. MindEcology developed two 15-second bookend commercials, each focused on a different “world” of healthcare. The first commercial highlighted the advanced medicine techniques the client used, and the second emphasized the client’s unparalleled patient care. This allowed for viewers to not only have two opportunities in one commercial break to think about the client, but also to see the two different “worlds” that the client was a part of. MindEcology also utilized billboards while creating this new brand position for the client. The client used both sides of billboards and had a message on one side about their advanced technology and a message about personal touch on the other. This tandem approach ensured that the client would receive maximum exposure and benefits and similarly to the commercial’s, allowed the viewer to think about the client in two different ways. 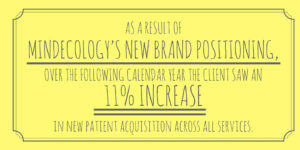 As a result of MindEcology’s new brand positioning, over the following calendar year, the client saw an 11% increase in new patient acquisition across all services. 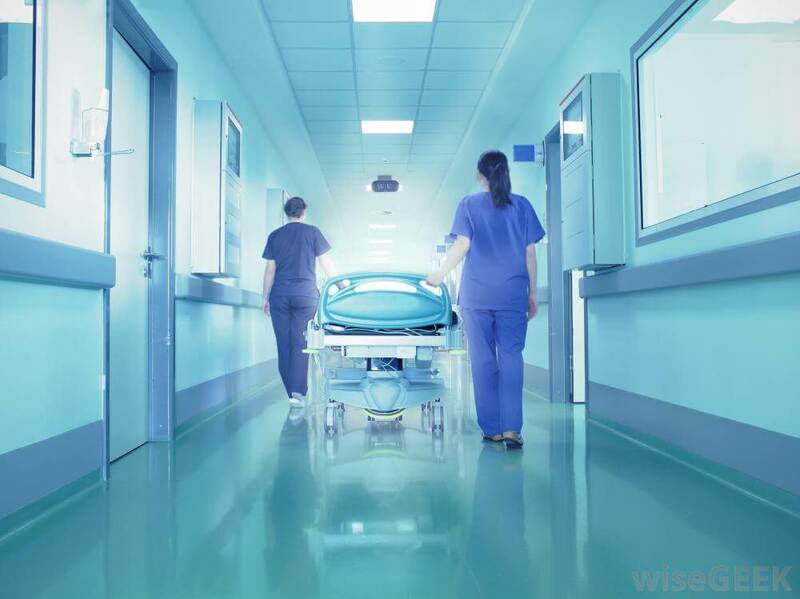 Thanks to MindEcology’s help, this once struggling hospital was able to see growth and across all sectors and reposition themselves as a hospital that provided services equal to or better than their competitors.